Facebook's national roadshow comes back home to the Bay Area Friday, just down the street from where the company got its start. Mark Zuckerberg, COO Sheryl Sandberg and CFO David Ebersman are all scheduled to attend a noon time affair at the Crowne Plaza hotel in Palo Alto to try to convince investors that the company's soon to be public stock is a good buy. The event is closed to the public but it is a meeting meant for venture capitalists, who will be in attendance. It is an opportunity for Zuckerberg to put his stamp on the long-term vision of the company that he controls and to convince potential investors that he is the right man to lead the company public. "There's an impression among the people I've spoken to on background that these attendees will be particularly interested in hearing from Zuckerberg about his long-term vision of the company - perhaps more than say money managers in Boston," CNBC's Julia Boorstin said. She said that might be the reason Facebook has Zuckerberg sitting out that presentation and instead be front and center at Friday's presentation. The Palo Alto leg of the roadshow is expected to be smaller than similar presentations in New York and Boston. About 200 people are expected to attend. 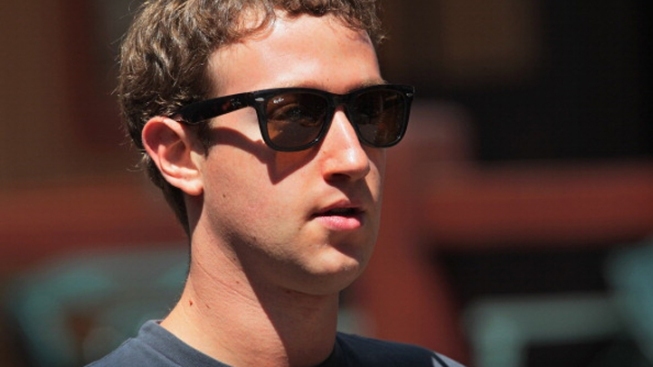 Facebook is largely expected to begin selling shares of its company starting next Friday.